Fans of “The Shield” won’t want to miss this new Blu-ray edition of the gritty cop drama, featuring all 88 episodes remastered into a nice-looking high-definition presentation that maintains the raw, textured look that helped give the series its unique flavor. 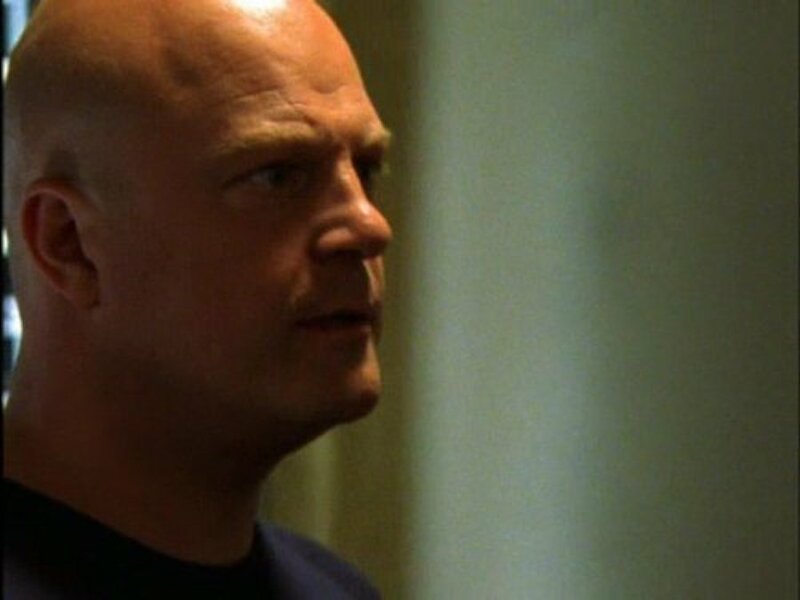 Michael Chiklis shines as corrupt cop Vic Mackey, who set the stage for the arrival of some of television’s great antiheroes in the years to come. Stars Michael Chiklis, Catherine Dent, Reed Diamond, Walton Goggins, Michael Jace, Kenny Johnson, Jay Karnes, Benito Martinez, CCH Pounder, Glenn Close, Cathy Cahlin Ryan, David Rees Snell, Paula Garcés, David Marciano, Forest Whitaker. The gritty 2002-08 cop drama put FX on the map for original content and helped turn basic cable into a hub of prestige television, before Netflix and other streaming services would come along to further blur the lines of distribution. The show focused on an LAPD precinct in a fictional, gang-ridden neighborhood of Los Angeles. The division serves as the headquarters for an anti-crime strike team led by Det. Vic Mackey (Michael Chiklis), a corrupt cop whose thuggish methods draw the ire of his captain and internal affairs. However, his ends-justify-the-means approach to law enforcement earned him a reputation as an antihero among viewers who resented the characters tasked with bringing him down in the name of doing things by the book. This made him somewhat of a precursor to complicated but morally ambiguous characters such as Don Draper and Walter White who would become icons of the new Golden Age of Television that emerged in the early 21st century. Mill Creek’s new Blu-ray edition of the show features all 88 episodes remastered in 4K from the original 16mm film elements, preserving the grainy texture that reinforces the series’ gritty flavor. The 18-disc set includes all seven seasons and two bonus discs, carrying over bonus materials from previous DVD releases from Fox and Sony Pictures. The discs come in sturdy digibook packaging with a slipcover containing a magnetic clasp to hold everything in nice and snug. The episodes aren’t offered with a “play all” mode, which might annoy some binge-minded viewers. Episodes can be viewed with an optional commentary and many include deleted scenes. The final disc includes three new extras that take a look back at the show 10 years after its finale. First up is a 2018 cast reunion with series creator Shawn Ryan that runs about 56 minutes and gives most of the actors a chance to reflect on what drew them to the show and what made it connect with fans. The hour-long “ATX Festival Panel: The Shield Writers Room” features a 2016 gathering of many of the show’s writers, who discuss how it redefined what basic cable was able to achieve in terms of providing an avenue for storytelling akin to what HBO was doing at the time. Finally, the 19-minute “Beyond the Badge” retrospective offers more of a typical look-back of interviews mixed with series highlights. 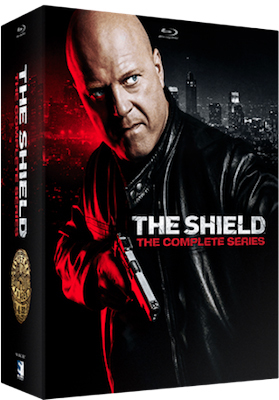 The entire series set of “The Shield” will come out on Blu-ray Dec. 18 from Mill Creek Entertainment. The collection includes all 88 fully restored episodes in high-definition from the series’ seven season run, which ended in 2008. Packaged in a digi-book with 18 Blu-ray discs, the set retails at $229.98. “The Shield” stars Michael Chiklis as antihero Detective Vic Mackey, who runs his elite Strike Team under his own set of rules as he tries to maintain balance in the criminal ecosystem on the streets of Los Angeles. The set is “the exclamation point to the legacy of ‘The Shield,’” said series creator Shawn Ryan in a statement. 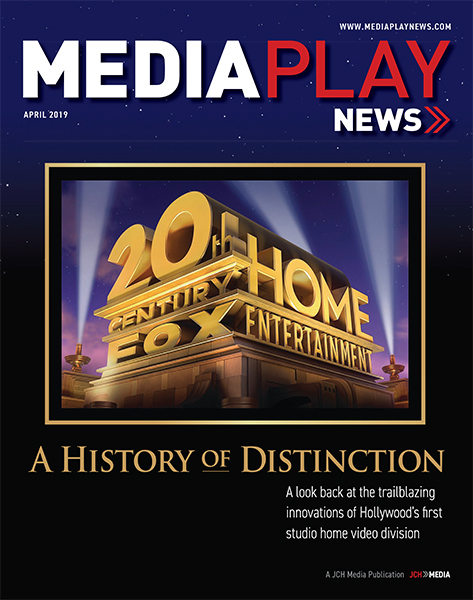 “A high-definition restoration was not possible until now,” he stated. A new patented process allowed the entire series to undergo a 4K transfer and restoration from the 16mm film elements, “preserving the intentional grit and raw texture that’s unique to this series,” according to a Mill Creek release. Bonus features include an all-new cast reunion, writers panel featurette, and a retrospective on the landmark series. 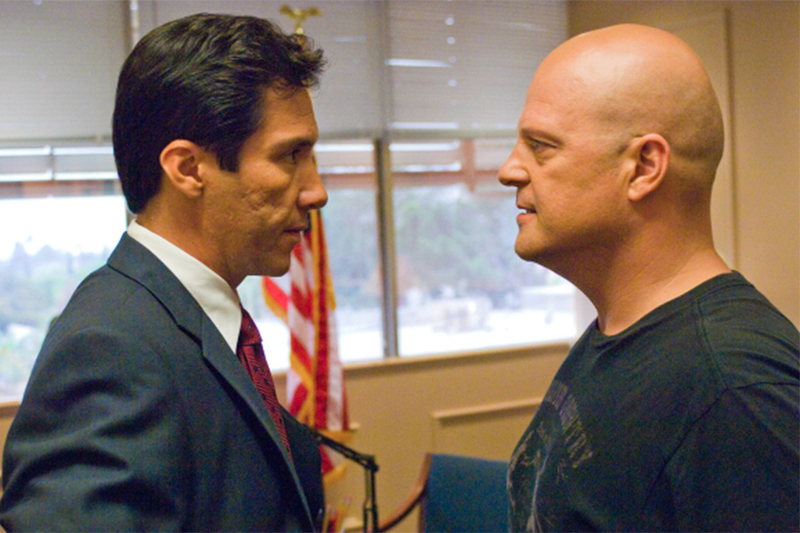 For the release extras, Mill Creek Entertainment is orchestrating a reunion with the principal cast and crew, including Shawn Ryan, Michael Chiklis, Catherine Dent, Walton Goggins, Jay Karnes, Benito Martinez, CCH Pounder, Cathy Cahlin Ryan, Kenny Johnson, David Rees Snell, Paula Garcés and David Marciano. Also included on this special Blu-ray release will be a writers’ panel from the ATX Festival, featuring Ryan, Kurt Sutter and Glen Mazzara, plus interviews with the executives and critics who framed and followed the show as it changed the television landscape. Additional special features will be included from previous DVD releases, as well as new features currently in development. A complete listing will be announced in the coming weeks, according to Mill Creek. This story originally posted July 27, 2018, has been updated to reflect a change in street date from Nov. 6 to Dec. 18. Mill Creek Entertainment will release two Imax-film 4K Combo Packs and the complete series of “The Shield” on Blu-ray Dec. 11. 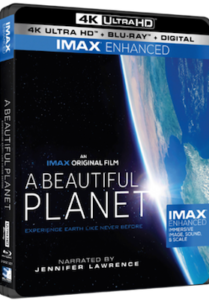 Narrated by Academy Award winner Jennifer Lawrence and coming in a 4K Combo Pack, A Beautiful Planet is an Imax portrait of Earth from space, providing a unique perspective and increased understanding of our planet and galaxy as never seen before. 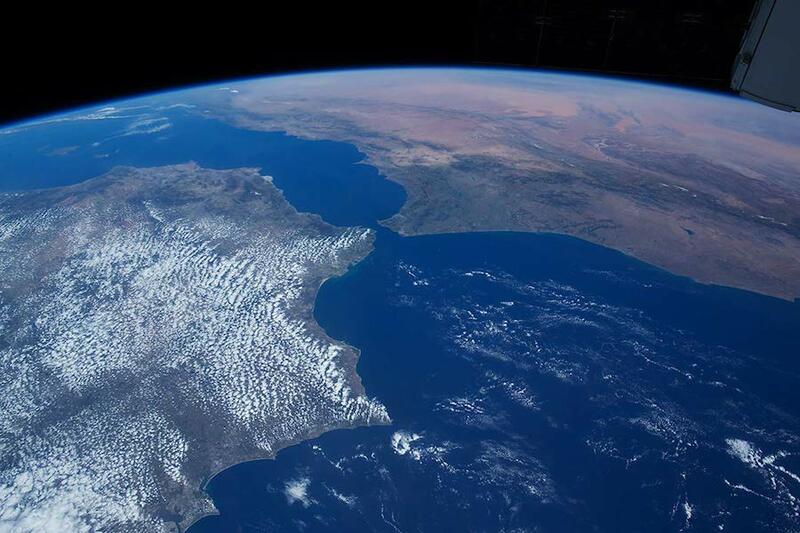 Made in cooperation with the National Aeronautics and Space Administration (NASA), the film features stunning footage of the blue planet — and the effects humanity has had on it over time — captured by the astronauts aboard the International Space Station. 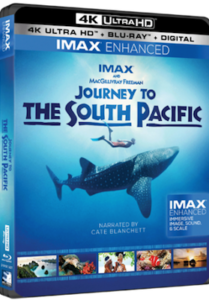 Narrated by Academy Award winner Cate Blanchett and also coming in a 4K Combo Pack, Journey to the South Pacific takes moviegoers on an Imax adventure to the lush tropical islands of remote West Papua, where life flourishes above and below the sea. Viewers join Jawi, a young island boy as he takes us on a journey of discovery, encountering whale sharks, sea turtles, manta rays and other iconic creatures of the sea. Home to more than 2,000 species of sea life, this exotic locale features the most diverse marine ecosystem on Earth. 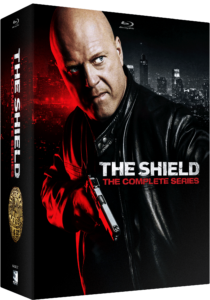 Newly remastered in 4K and available for the first time on Blu-ray comes the complete series of the controversial and critically acclaimed “The Shield.” The series reinvented the police genre and featured an iconic television antihero, Vic Mackey (Michael Chiklis), a corrupt cop who runs his elite Strike Team under his own set of rules. New special features include a 2018 cast reunion with creator Shawn Ryan; a writers panel from the ATX Festival featuring Ryan, Kurt Sutter, Glen Mazzara, Scott Rosenbaum and Charles Eglee; and the “Beyond the Badge” retrospective. The set also includes previously released extras, including more than 10 hours of behind-the-scenes featurettes; cast and crew commentary on select episodes; and deleted scenes.